This post is sponsored by Family Dollar but all opinions are honest and my own. My middle child has been needing some extra attention lately. 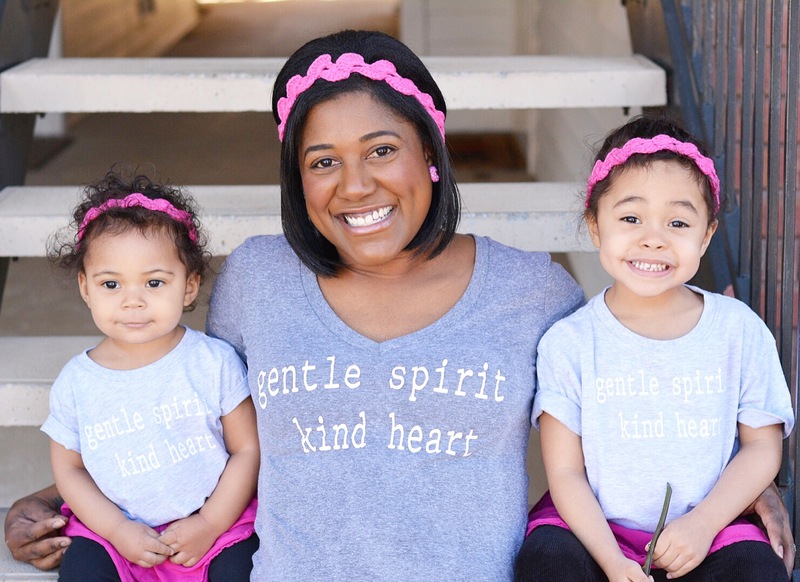 It’s been quite the transition for her with big sissy back in school and a new baby constantly in my arms, so I’ve been intentional with giving her special jobs and making sure she feels included. 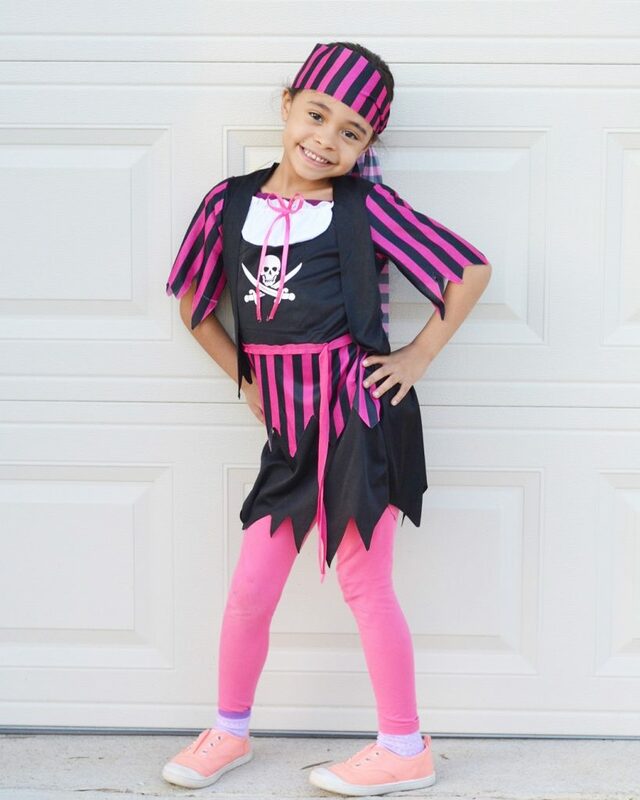 During a recent trip to Family Dollar she helped me make every decision as we stocked up on Halloween goodies. Because the prices are so affordable I even felt comfortable giving her the liberty to make some choices on her own, and I watched as her confidence shot through the roof! 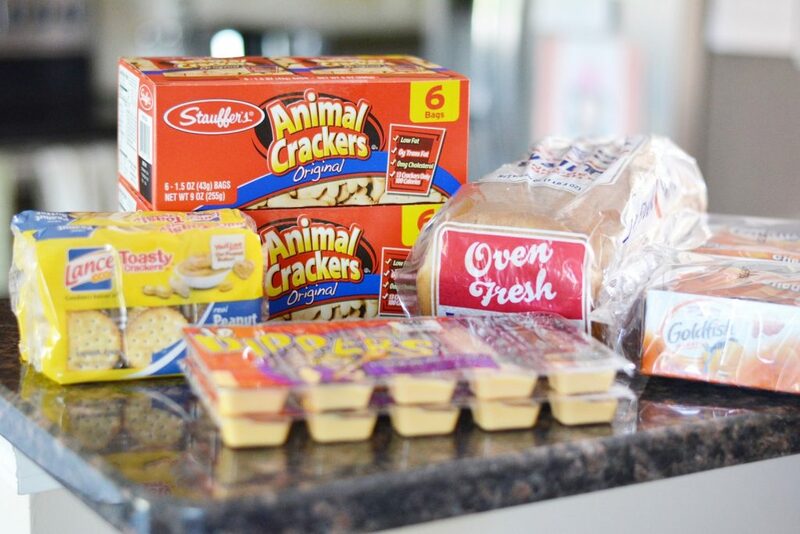 She was happy knowing she assisted me, and with Smart Coupons (Family Dollar’s saving program), I was happy knowing that the savings were adding up too! While at Family Dollar I spent less than $40 on candy, snacks, and costumes. 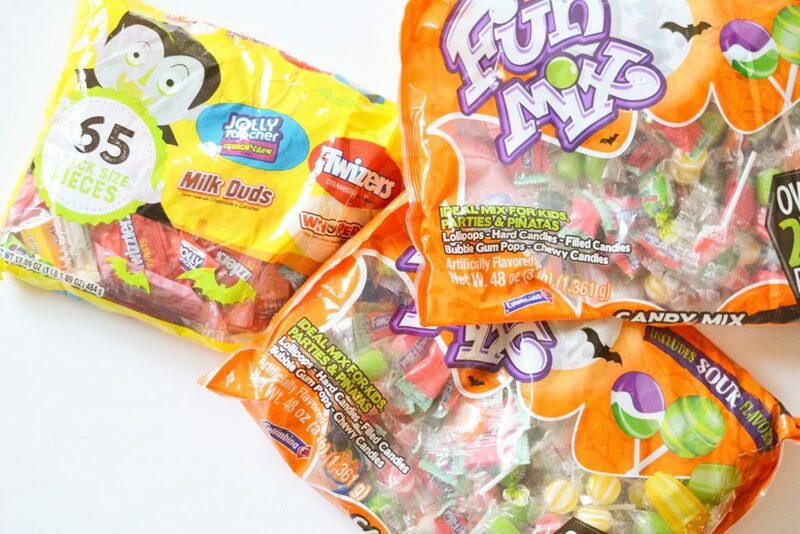 We moved to a very family friendly neighborhood over the summer so I grabbed some big bags of candy in anticipation of a high-volume of trick or treaters. My parents will man the door while my husband and I take the girls out, but not before they get a sandwich and a snack in their system. Candy overload may be unavoidable, lol, but doing so on an empty stomach is a disaster waiting to happen! And of course my big girls must step out in style. 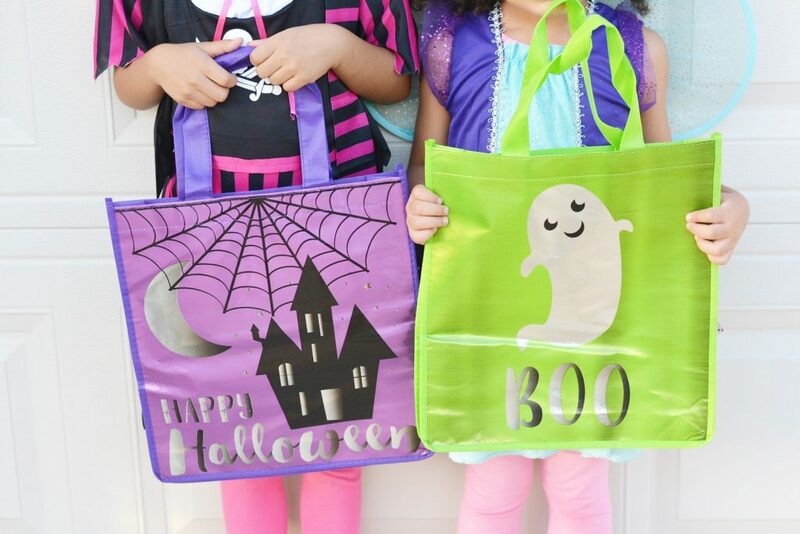 These $5 costumes and $1 treat bags (yes, you read that correctly) were picked out by my 4 yo, and I know they’ll have lots of fun with them beyond Halloween night! 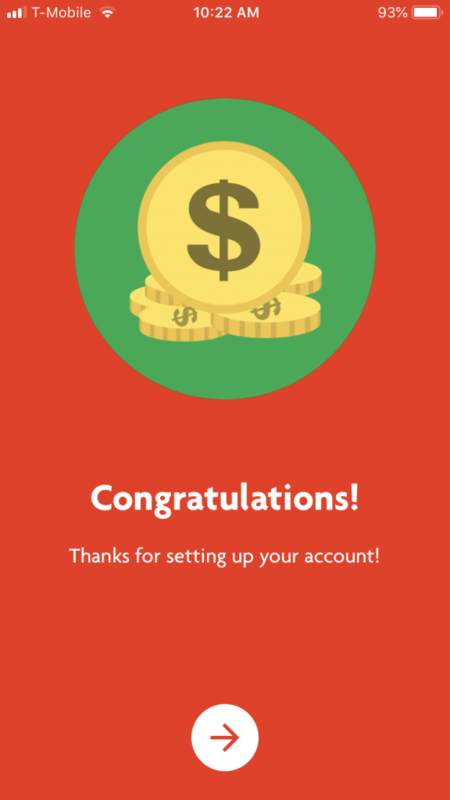 How did I maximize my savings? 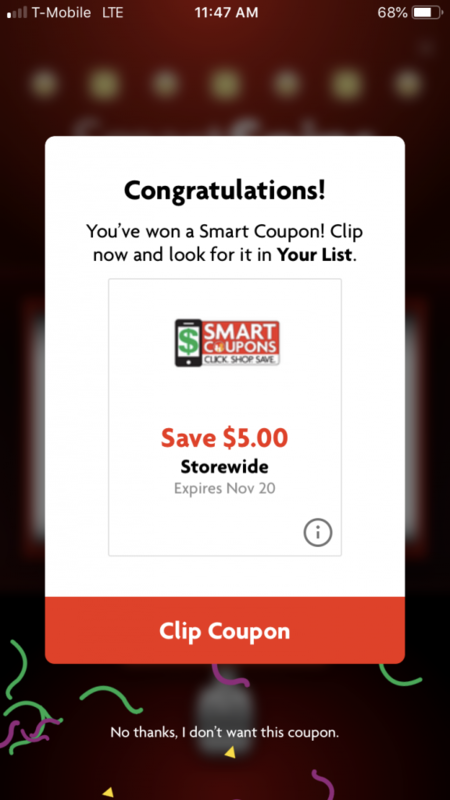 Smart Coupons shows relevant offers for each customer based on their shopping history. 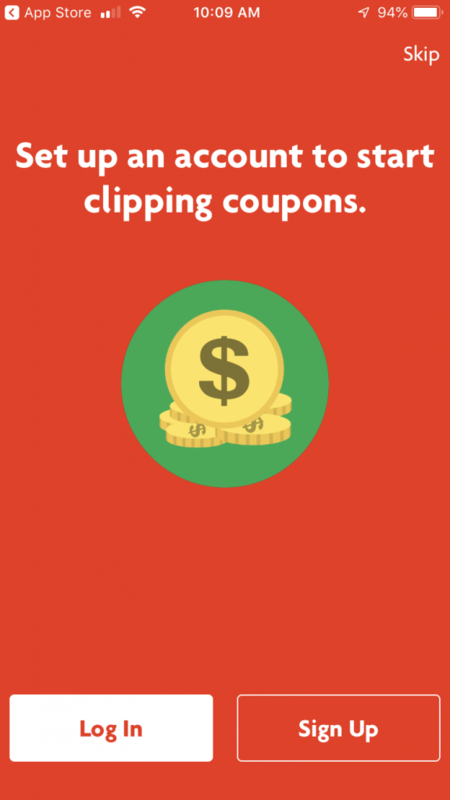 You can clip these coupons to your account, which is huge considering that most items are already priced at $10 or less! 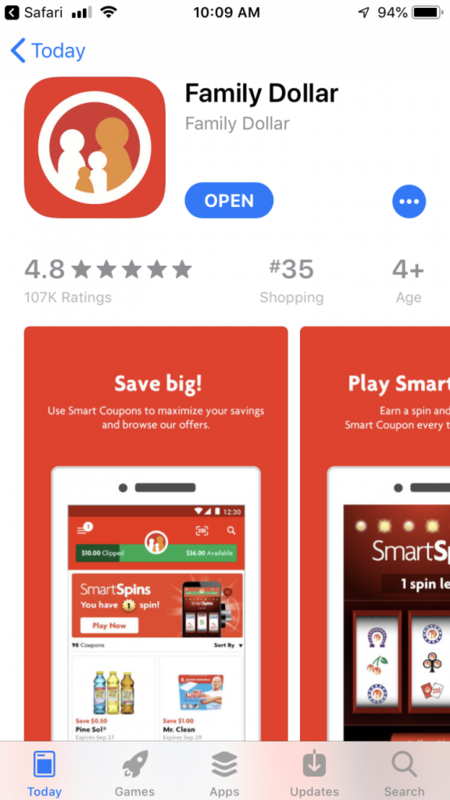 You can sign up by going to the Smart Coupons page on the Family Dollar website, or download the Family Dollar App from the Apple or Google Play Store. There’s even a game on the app that rewards customers every time they shop. 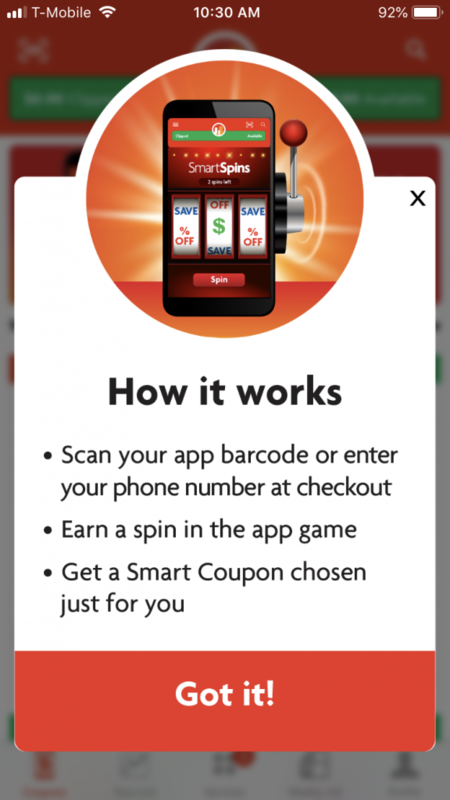 SmartSpins can be played by checking out with Smart Coupons (either enter your ID on the pin pad or have the cashier scan the bar code in the app), and your virtual spin will help you to save even more! I saved an additional $5 dollars on my first spin! Woohoo! Special offers do vary so be sure to check the Family Dollar website (or your app) to stay up to date on current deals available at your local store. 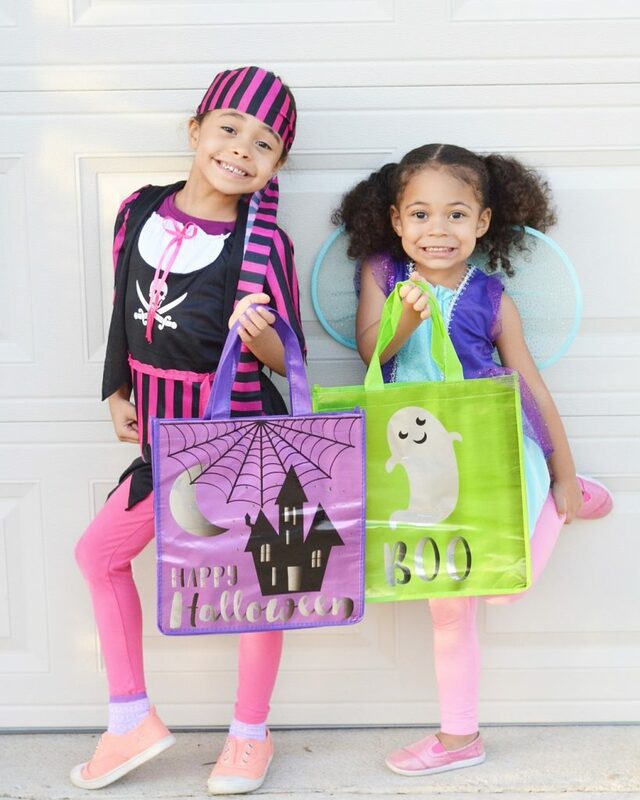 There’s nothing spooky about saving at Family Dollar! Wow, sounds like a great money-saving program! I can’t believe you got candy, snacks, and costumes for such a low total! Yes!! The deals are amazing! 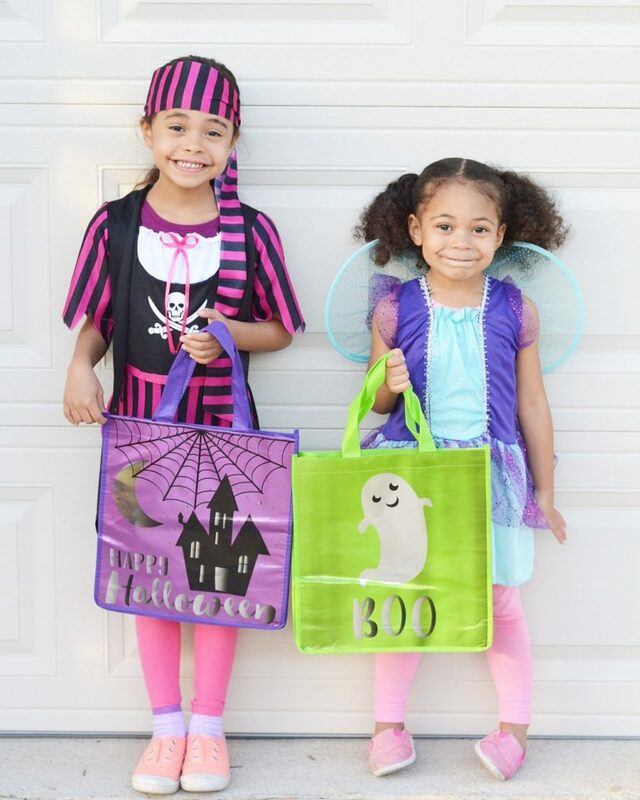 Of course my girls think I should go back for more candy. 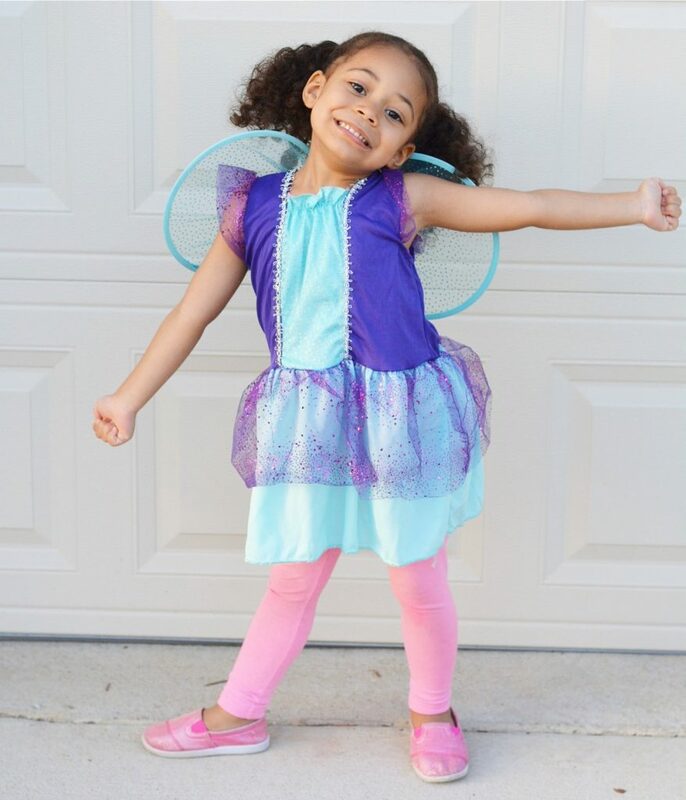 What adorable and affordable costumes!! I love that you were able to buy so much for under $40! 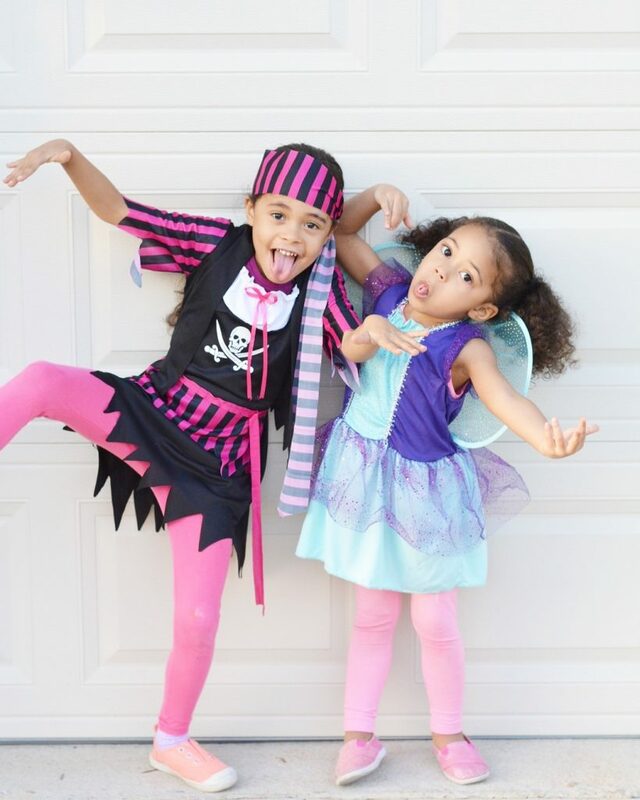 Hope your girls have an amazing Halloween! They had a blast! Thanks!! And the savings are so good!! Family Dollar sounds like such a great place to shop! 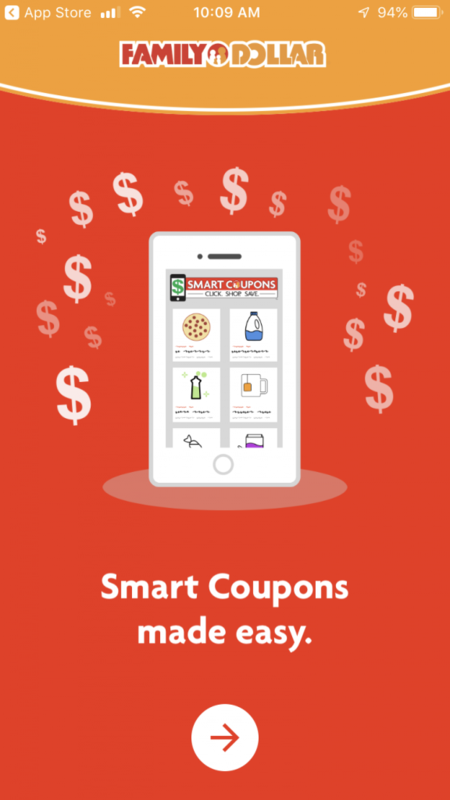 And of course Smart coupons sounds like such a great way to save money. I love the girls’ costumes. They have the most amazing deals! Thank you!! You’re welcome! I’m so excited about these deals!!! What a deal on all that candy and costumes!! Win! Thank you! You really can’t beat it!!! We abolutely LOVE Family Dollar! It’s definitely a go-to of ours! !